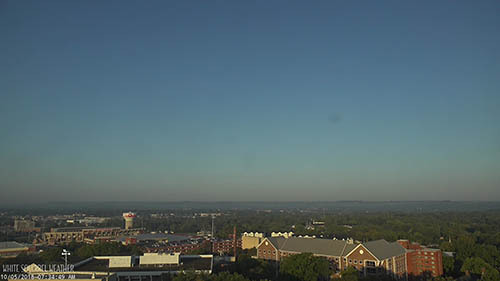 Welcome to Today@WKU, the daily newsletter from WKU Public Affairs, for October 5, 2018. Dr. Todd Cheever to present Lancaster-Puckett Lecture on Oct. 18: Dr. Todd Cheever will present WKU’s 2018 L.Y. Lancaster-Hugh Puckett Lecture at 6 p.m. Oct. 18 at the Ogden College Hall Auditorium. Topper Tank Awards $525 to Student Business Ideas: The Center for Entrepreneurship & Innovation, housed in WKU's Gordon Ford College of Business, awarded four student teams $525 in the annual Topper Tank Elevator Pitch Competition on Tuesday. Big Red Marching Band Feature Twirler selected for international event: Congratulations to Big Red Marching Band Feature Twirler Madalynn Alt who has been chosen to represent the United States at the 2019 Grand Prix Baton Competition in France. Kentucky Museum to Host Hammer-In Saturday: The grounds of the Kentucky Museum will be home to Hammer-In, an annual event celebrating the Metal Workers’ Trade, on Saturday. Activities will be held from 10 a.m. to 3 p.m.
Women’s golf: Lady Tops to Compete in Kentucky's Bettie Lou Evans Invitational: Coming off a team win in Boston and two straight individual victories by junior Mary Joiner, WKU Lady Topper Golf returns to action this weekend at Kentucky's Bettie Lou Evans Invitational. The Lady Toppers will take all seven golfers on the roster to the 12-team event at the par-72, 6,221-yard Big Blue Course at the University Club in Lexington. The tournament begins this morning. Soccer: Lady Toppers Return Home to Host FIU, UTEP This Weekend: With its monthlong road trip finally in the books, WKU Soccer will return to the friendly confines of the WKU Soccer Complex for a pair of matches this weekend, hosting FIU this evening at 6 pbefore battling UTEP at 1 p.m. on Sunday. Volleyball: WKU Hits the Road for Matchups at Marshall and MTSU: WKU Volleyball (12-6; 3-1 C-USA) is set for its first full weekend of Conference USA action on the road as the squad heads to Marshall at 10 a.m. today and Middle Tennessee at 1 p.m. Sunday. Patrick Dougherty starts construction on "Stickwork" at WKU: Earlier this week on the WKU campus, an art project called "Stickwork" began on the front lawn of the Kentucky Museum. With the harvesting phase of the project complete, construction of Patrick Dougherty's latest sculpture is finally underway. WKU Army ROTC program celebrating 100th anniversary: One hundred years is a long time. A lot can, and does, change during the course of the period of time. Something that hasn't changed too much during that same span, though, has been the WKU Army Reserve Officer Training Corps (ROTC). And in 2018, that program is celebrating its 100th year on the Hill. Glasgow Water Co., WKU participate in federal partnership program: A partnership between Glasgow Water Co. and WKU is the first in Kentucky to be part of a program implemented by U.S. Environmental Protection Agency Region 4 to help communities connect with certain kinds of resources. 4:30 p.m.: Presentation: Cuba from the Nineteenth Century to the Present by Louis Perez, University of North Carolina. Ogden College Hall Auditorium. Part of International Year of Cuba. Contact International Programs, (270) 745-5334. 7 p.m.: Stickwork at WKU Artist Talk: Patrick Dougherty. Kentucky Museum’s Kentucky Room. Contact Cultural Enhancement, (270) 745-4375.